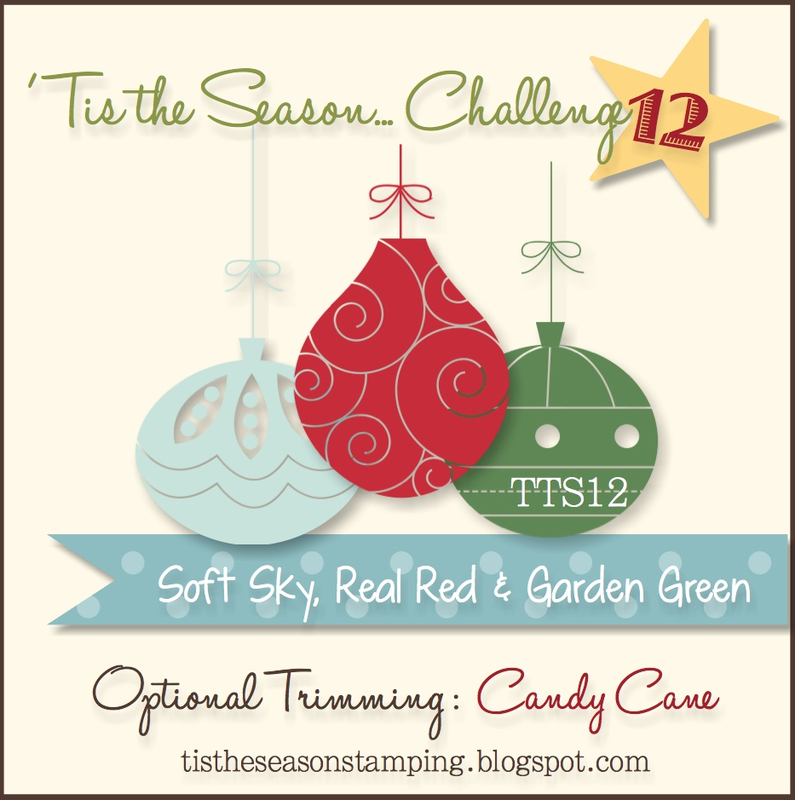 It's time for another challenge at 'Tis The Season and this week we have a color combo for you. We've got the classic colors of red (Real Red) and green (Garden Green) with a little twist of Soft Sky thrown in. With our optional trimming you can also use candy canes on your project! 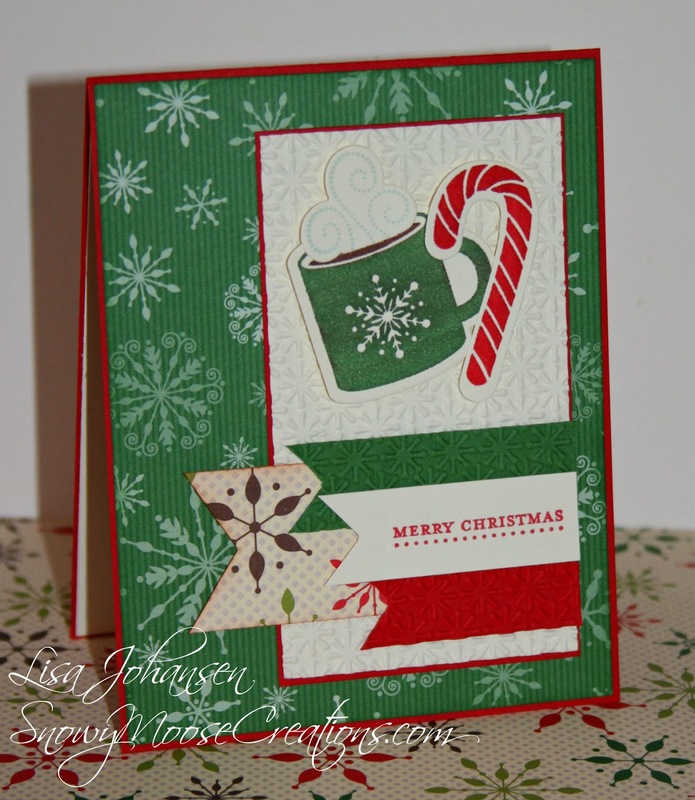 I used SU retired DSP called Merry Moments for my snowflake background and then I embossed a panel of Very Vanilla with the retired SU EF Snow Burst. I created banners using the DSP and Real Red/ Garden Green card stock. I snuck the Soft Sky in by using it for the steam on the cup of hot chocolate, and since a treat is always nice with a drink I added a candy cane next to the cup. Both the cup and candy cane are popped up with dimensionals. I hope you will come play along with us at 'Tis The Season!